Last month, a housing development by our sister company, SaCo Development was granted planning permission. 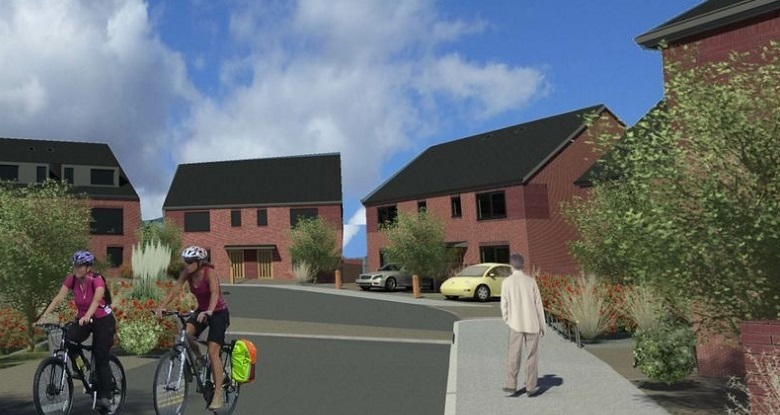 The scheme will see the delivery of 10 homes built on the south part of the site behind Slateacre Road in Gee Cross, Hyde, Manchester. It will be a mixture of 3&4 bedroom homes with courtyard parking. The construction is expected to commence in August 2018 and the homes built by Autumn 2019. Spring & Company will be taking on the role of construction manager for the development. The scheme has been designed in collaboration with Poulter Architects.